Michael Huber offers over 20 years of education experience. Every minute is designed for you. Targeted instruction to meet your unique needs. Be ready for test day! Whether you are 2 weeks from test day or 2 years, we have a plan for you. 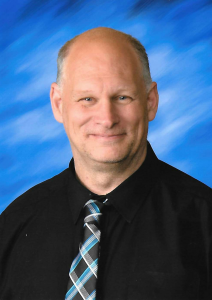 Michael Huber has been a professional educator for over 20 years. In addition to teaching in the classroom for both public and private schools as well as working with home-school students, Michael has over 5000 hours of private tutoring experience that ranges from pre-algebra to Calculus BC in math as well as chemistry and physics in the sciences. His passion has been helping students reach their college goals through thoughtful, student-focused tutoring. In addition, he has the unique combination of educational training and a deep understanding of the ACT and PSAT/SAT to support students in growing their test scores. Limited Availability, So Don’t Wait. Only $85 per hour for 10 hrs. $95 per hour less than 10 hrs. Please Note: Your tutor will reach out to you personally within 48 business hours of registration via email to set up your live-online session schedule and establish a customized plan for your student’s needs. All private tutoring sessions are facilitated through an interactive, collaborative online platform called Zoom that provides educational benefits including screen capture of explanations for review after the completion of the session, the ability for the tutor and student to write on the whiteboard at the same time, screen and resource sharing, just to name a few. The live-online environment also eliminates travel time and unnecessary hidden expenses so that you are paying for what matters – instruction time. Michael Huber is the reason my son is a National Merit Scholar and received near-perfect SAT and ACT scores. Michael sat side-by-side with my son and knew exactly what, when, and how to communicate the material so that my son could get up-to-speed quickly and easily. Be the first to know about TarpleyPrep updates and offers.